I put together my own contribution. I created an adventure called Last Stand at Camp Starfall (download link – now including conversion notes for 5E!). While I admire horror, and I like it in small quantities and in certain ways, I mostly like it when combined with other genres. (For example, I had fun adding some horror aspects into The Five Deadly Shadows). Last Stand at Camp Starfall pulls together a number of campy horror and sci-fi elements. You will find two of my favorite monsters in it as well – an attempt to show how much fun the least heralded monsters can be. Part of my inspiration for this adventure was my April DDI article on Vegepygmies. I wanted to provide an example encounter or two for how those could be used. (You can easily strip away the campy humor and make use of those encounters). I also wanted to go back to the concepts behind Expedition to the Barrier Peaks and explore that space (pun intended) where genres come together. I wanted this to be a fun adventure, the way it can be an absolute blast to pause a D&D campaign and play a session of Gamma World… except in this case you could do it with the same PCs you are playing in your D&D campaign. 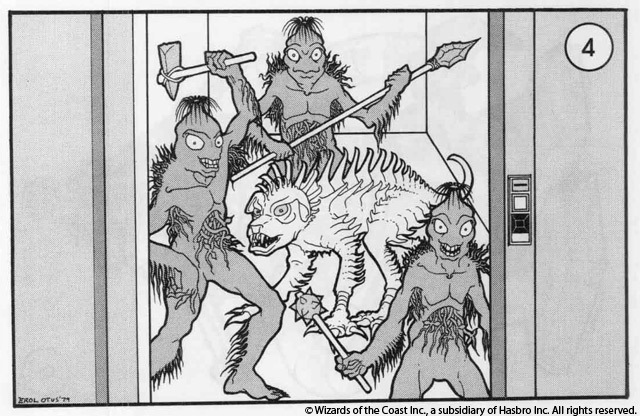 Or, a DM could drop this in unexpectedly, surprising PCs and players with the true horror. I hope you enjoy the adventure and the blog entry. What has it meant for you to have horror and sci-fi be part of D&D? Are there lines that should not be crossed, genre-wise? Is it fun to inject spores in a PCs’ face and then hand them a laser so strange they don’t know which side to point at an enemy? Did I go too far with that last room in the adventure? 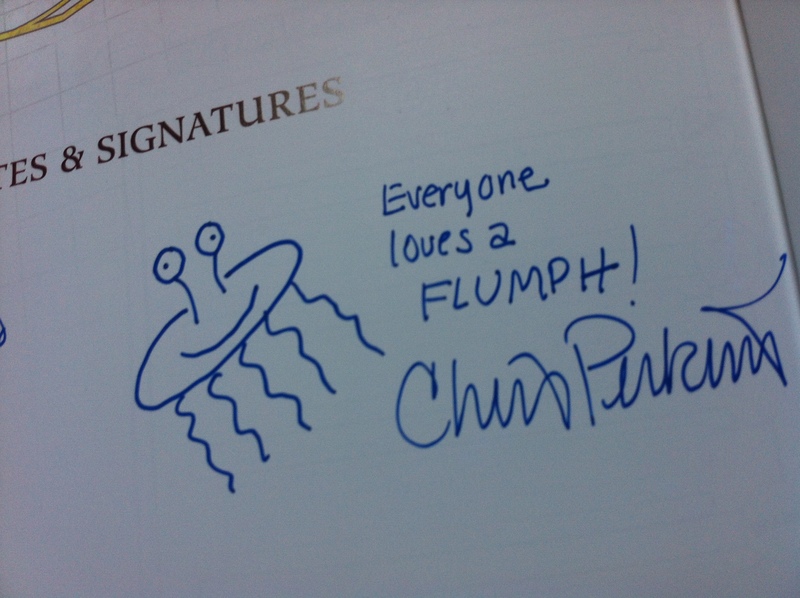 Flumph comic by the excellent D20 Monkey! How Chris Perkins signed my Ghosts of Dragonspear Castle at Gen Con 2013! This entry was posted on October 13, 2015 by Alphastream and tagged 4E, 5E, Authoring, Ecology, Flumph, Horror, Monsters, RPG History, Sci-Fi, Vegepygmies.